Out now on the road with NONPOINT for the Breaking Skin Tour, Wyoming's RIGHTEOUS VENDETTA have revealed even more shows this season. Beginning October 12, 2014, RIGHTEOUS VENDETTA will hit the road on a string of dates with Canadian rockers THOUSAND FOOT KRUTCH and special guests WE AS HUMAN. 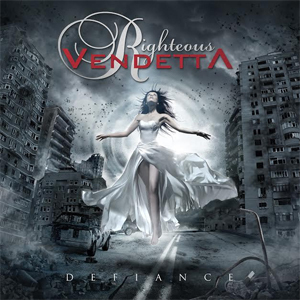 RIGHTEOUS VENDETTA released their Defiance EP earlier this month. The EP features the popular single “Take Over” which is #NowTrending on Beats Music: Rock! Listeners can grab the app & blast it here: http://beats.mu/t04ix. For more music and ticket information head over to www.facebook.com/righteousvendetta. Look below for the complete list of upcoming tour dates.